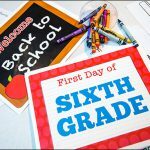 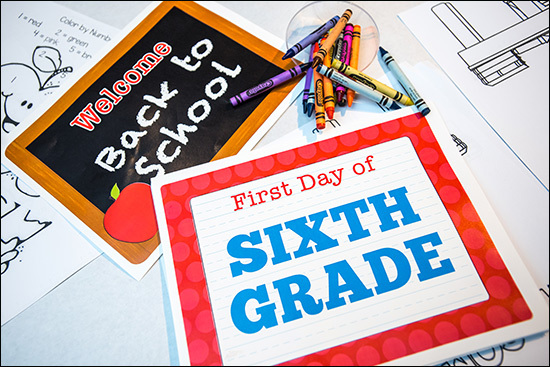 It is that time of the year again; the end of summer means the beginning of a new school year. 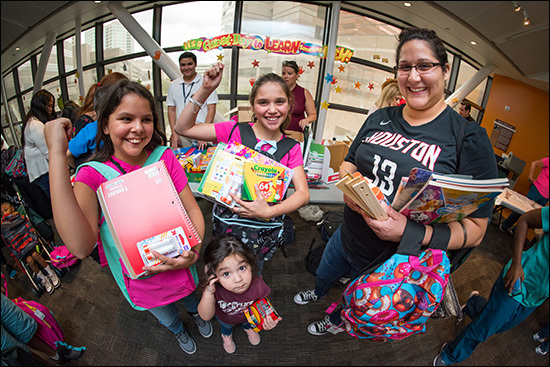 Texas Children’s Hospital’s Social Work Department organized a back-to-school fair to provide information to patients and their families to help them prepare for the new school year. 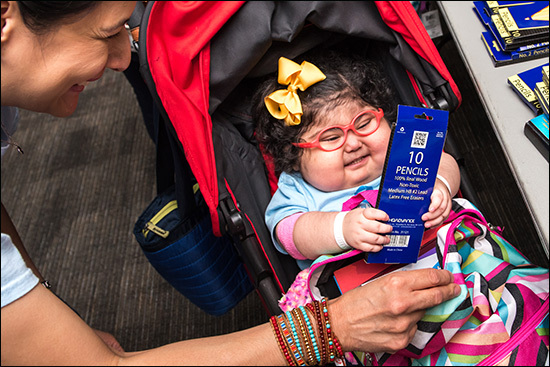 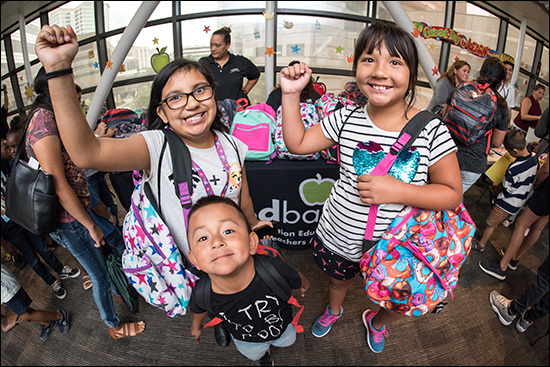 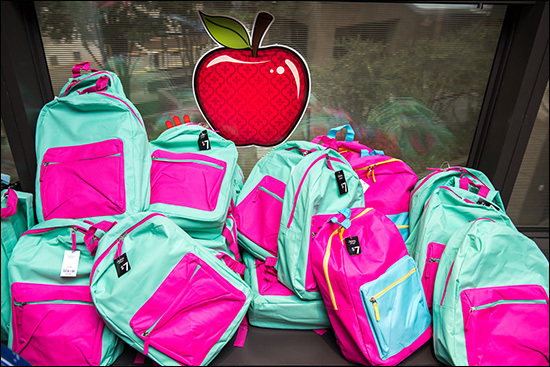 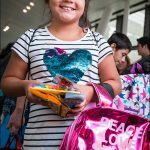 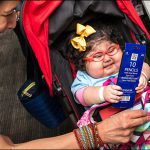 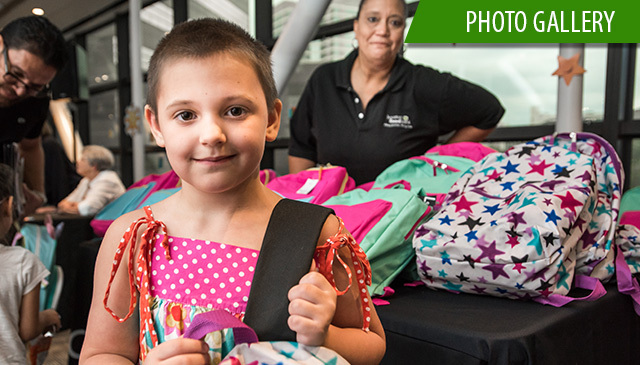 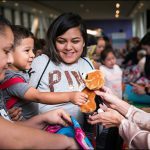 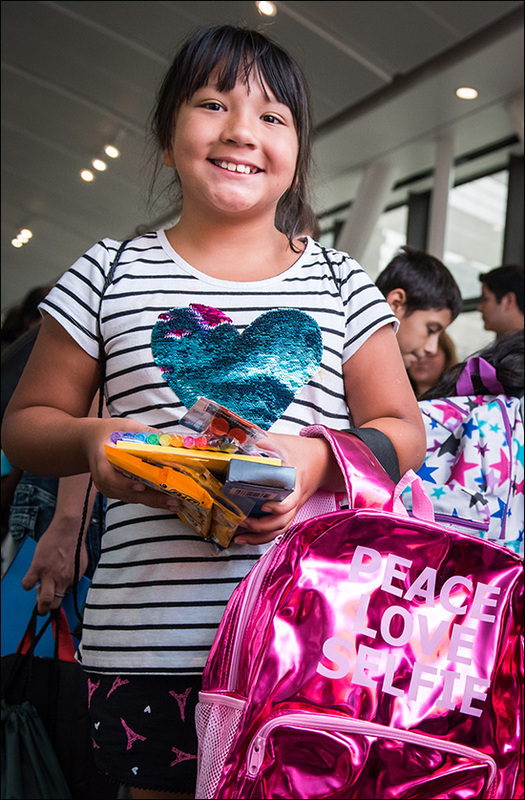 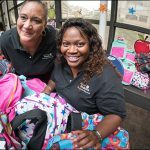 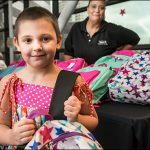 On July 31, the Texas Children’s Hospital Medical Center Auxiliary Bridge quickly filled with tons of patients and their families waiting to take advantage of the opportunity to receive free school items. 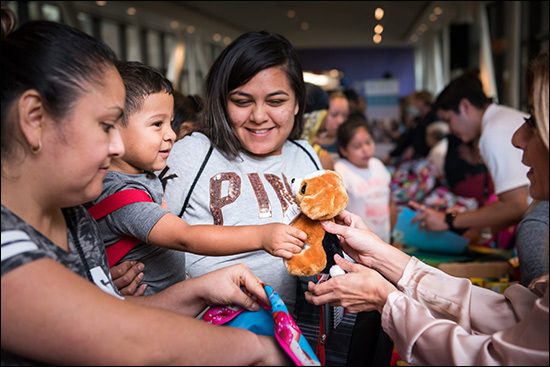 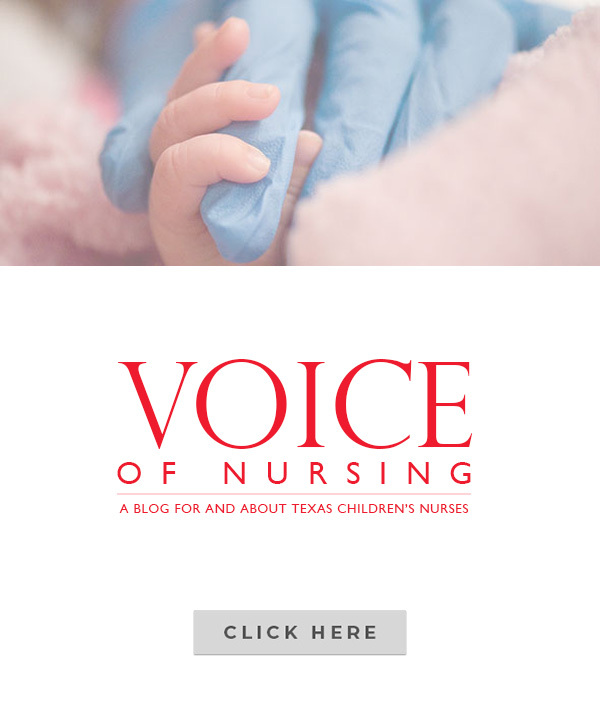 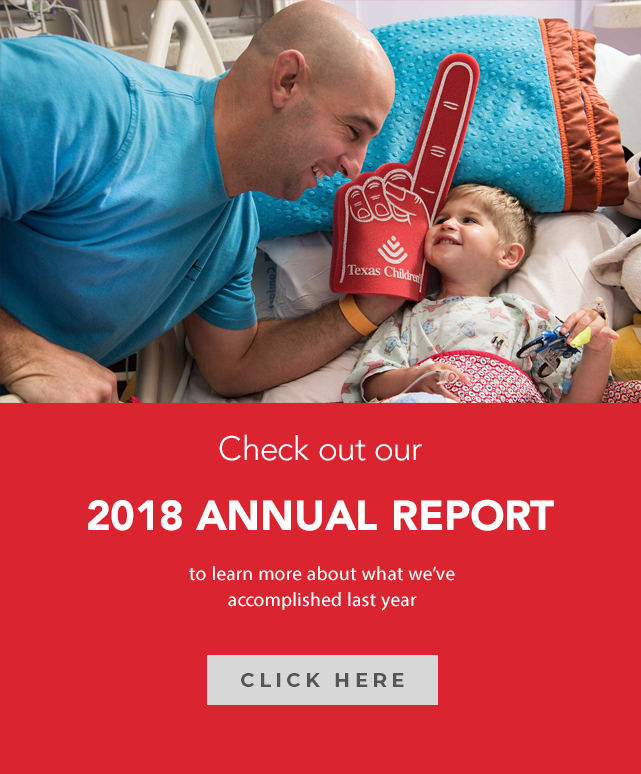 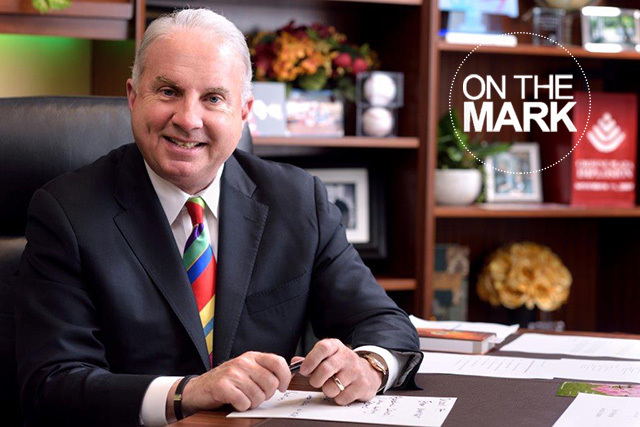 Texas Children’s relationships and partnerships with many groups and agencies made way for a great response when it came to soliciting organizations to participate. 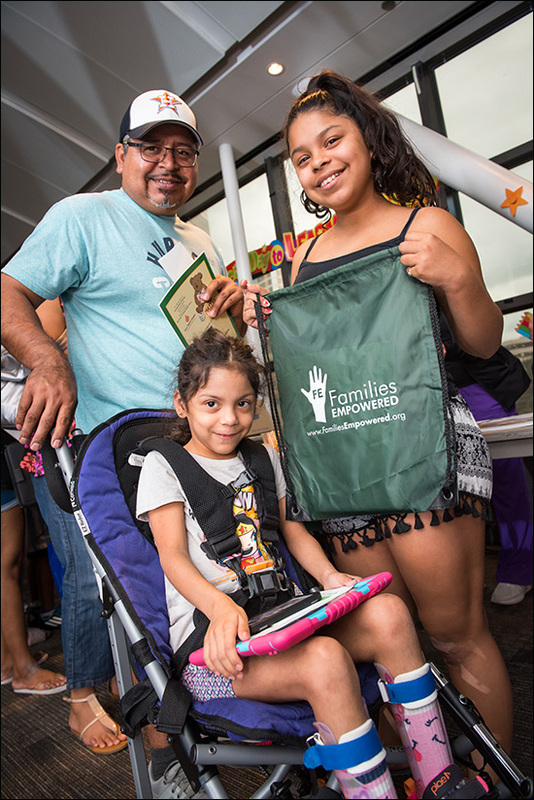 Below are the groups that occupied tables with information along with a few goodies for children and their parents to take with them. 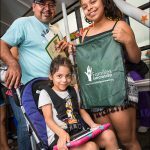 One Step Closer Foundation – a non-profit, charitable organization whose main goal is to ease, as much as possible, the lives of those who suffer from cerebral palsy. 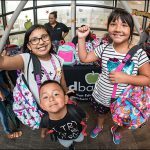 Houston Food Bank – a private non-profit organization and a certified member of Feeding America, the nation’s food bank network. 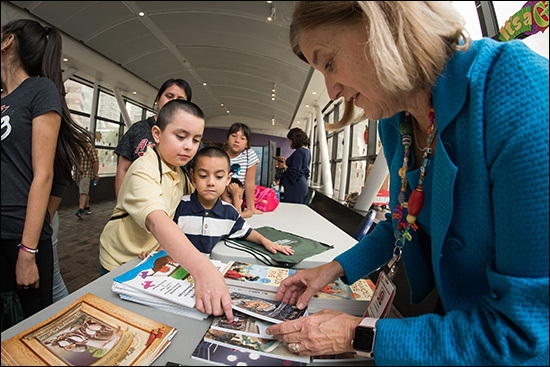 Neuhaus Education Center – a non-profit educational foundation dedicated to promoting reading success. 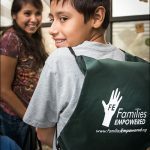 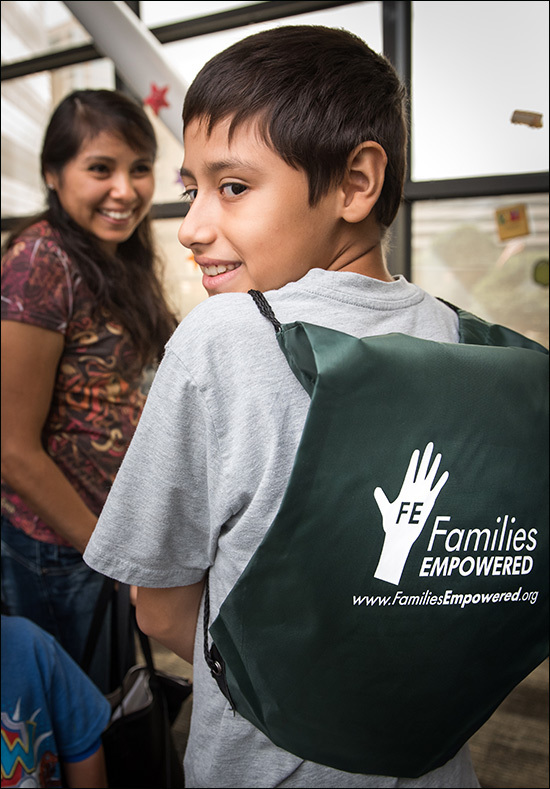 Families Empowered – a non-profit organization founded to support the escalating number of families searching for a great school for their child. 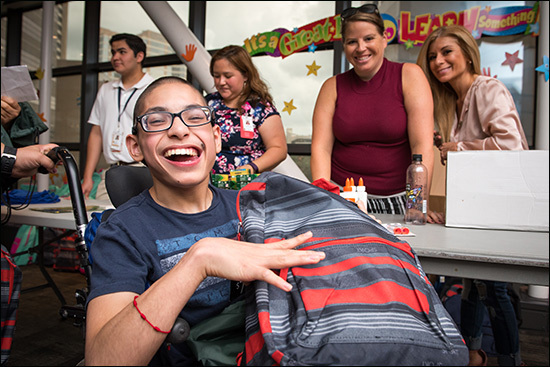 Disability Rights – recognizes the varied needs of people with disabilities in Texas. 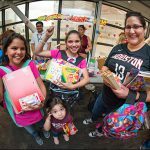 HEP Bookstore – a homeschool resource; a bookstore specializing in instructional materials & books for home schooling in a range of subjects. 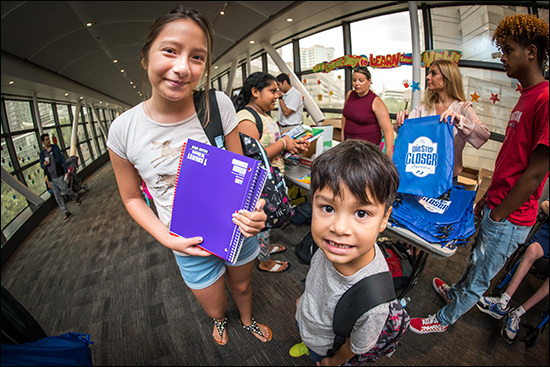 The One Step Closer Foundation provided the DJ and decorations for the bridge. 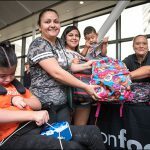 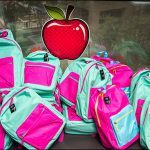 In addition the foundation, along with the Houston Food Bank, backpacks and school supplies were also given away to patients and their siblings. 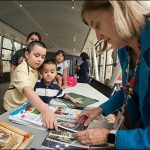 The fair also provided opportunities for Texas Children’s departments such as Nutritionist, School Coordinators, Animal Assisted Therapy Program, Child Life, the hospital Dieticians, and schoolteachers, to showcase their skill set so that parents and students are more confident and prepared for the upcoming school year. 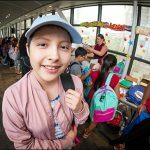 There was even a photo area created for parents to take school photos of their children. 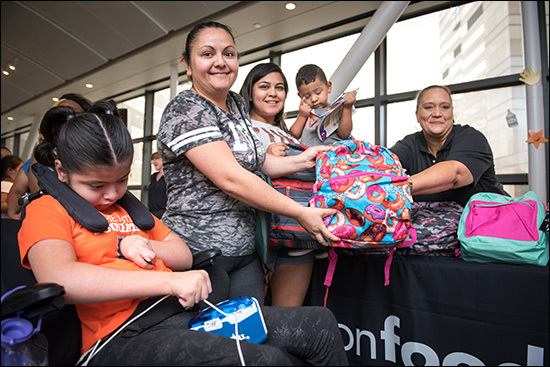 This was a very popular portion of the event for families, as it creates normalization for those who are not able to leave the hospital to attend school and pictures. 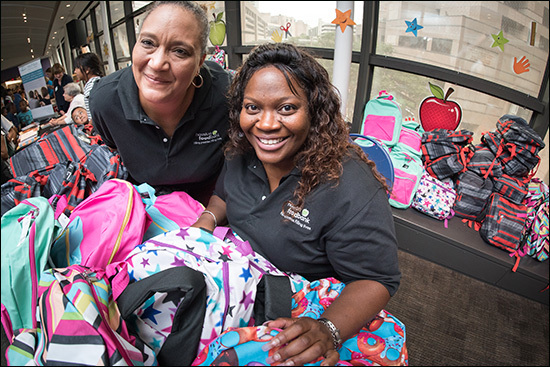 The social work department’s goal has been to create an immense presence and emphasize their role in maintaining exceptional patient experience year round. 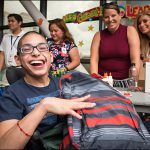 Many parents who have children in the hospital may not have the time or financial ability to purchase all the necessities needed for school. 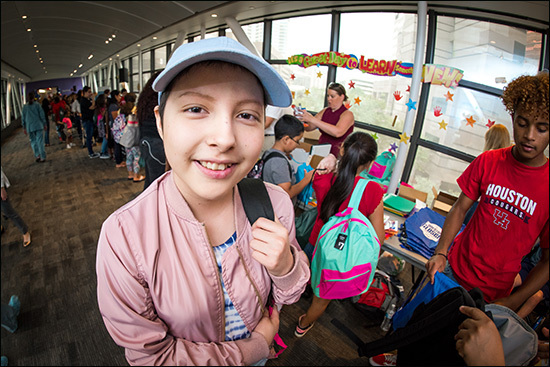 This event was able to help make the start of the school year a little easier and among all things, let parents know that Texas Children’s is there to support them and their needs. 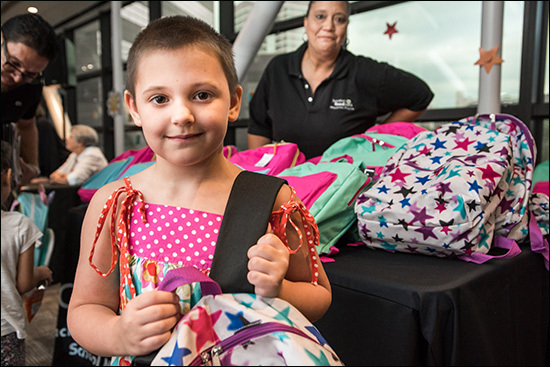 With a goal of helping 300 children, the actual end result was 500. 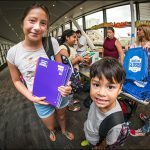 The back-to-school fair was an overall success and the Social Work Department hopes to make this an annual event for many years to come.